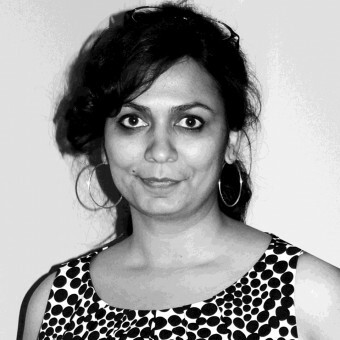 Editor Frank Scott (FS) from DesignPRWire has interviewed designer Vandana Tiwari Sharma (VTS) for A’ Design Award and Competition. You can access the full profile of Vandana Tiwari Sharma by clicking here. VTS: Since I was a child I knew I needed to be in Art field. I have a BFA in Fine art, Post Bachelor Degree in Textile Design from India. Studied Graphic design in USA and freelancing as Graphic designer and Digital illustration Artist. And a current Interior Design Graduate student at Suffolk University. VTS: Vanash designs Studio is in formation process. Very New. VTS: Design for me is keeping was really works and deleting what is not required, making life efficient and beautiful. VTS: I like designing commercial spaces and products. VTS: Flying Green Rug, It's a rug that is shaped like a section of a meadow. It's fun. VTS: In the night, when everyone is sleeping. VTS: I feel a sense of contentment. VTS: Balance and interesting use negative positive or fill and voids. My eye goes there first. VTS: Design field is evolving to be very aware of being eco friendly, thus future seems to be on the right track. VTS: Biomorphic. Humans never get tired of nature and it's a live and ever changing. Creating that is inspired by nature just feels and seems right to eye. Nature give endless choices to study, explore and create. This way to get connected back to nature in a way. VTS: Acton, 1 hour away from Boston, MA, USA. My cultural heritage influence my designs only when I am mindfully using for purpose in my designs. There are all pros no cons. I have the best of the tools available to my disposal in USA. VTS: I deeply study a particular object from nature in details, conduct research extensively, conceive an idea, draw sketches and then use technology to create digitally. Create a small physical model. VTS: Be inspired by nature. VTS: Observation, exploration, reading about whats new in design. Studying other designer doing wonderful exciting work. Then I am all charged up and good to go. VTS: These days I am consumed with design. No time for other things. This is fun! VTS: Working at gorgeous digital patterns of textiles. VTS: Designing spaces. because I love designing spaces, it is a most positive experience for me. VTS: Work for an innovate design product company simultaneously working on a design piece at my studio. VTS: I am not much of a team person. I identify with my designs very closely hence I am bit of a individualist. But I like to collaborate. I do a piece of my work that can be collaborated with others' share of work. VTS: I have a set of chair that I am currently working on. Press Members: Register and login to request a custom interview with Vandana Tiwari Sharma.